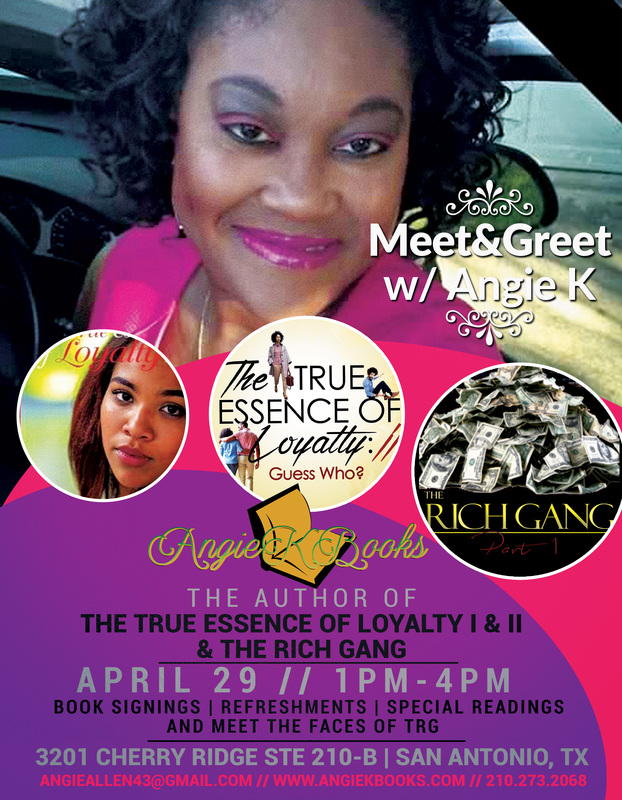 Book Clubbers and avid readers, Mark your calendars…April 29th Author Angie K will be hosting a meet and greet/book signing. Come pick up a copy of her latest book True Essence of Loyalty II. Light Refreshments will be served.